On September 19th 1994 Oasis played at the Quattro in Nagoya, Japan. Listen to a bootleg of the gig below. 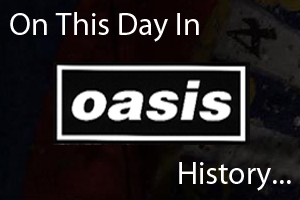 On September 19th 1997 Oasis played the first of two dates at the Exhibition & Conference Centre in Aberdeen, Scotland. Watch a report about the gigs below.